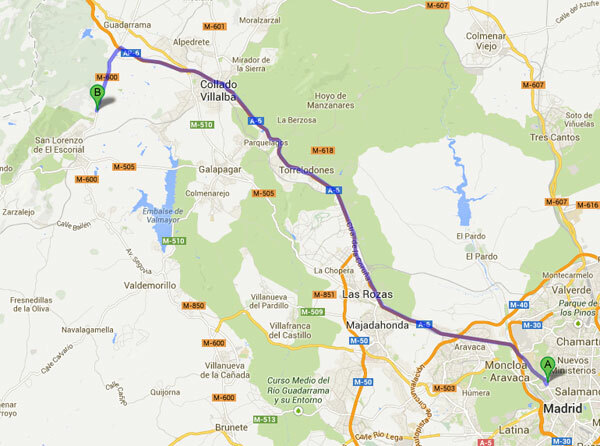 Just take the A-6 (4 lane highway) and take exit 47 towards El Escorial (you will then be al road M-600 ). 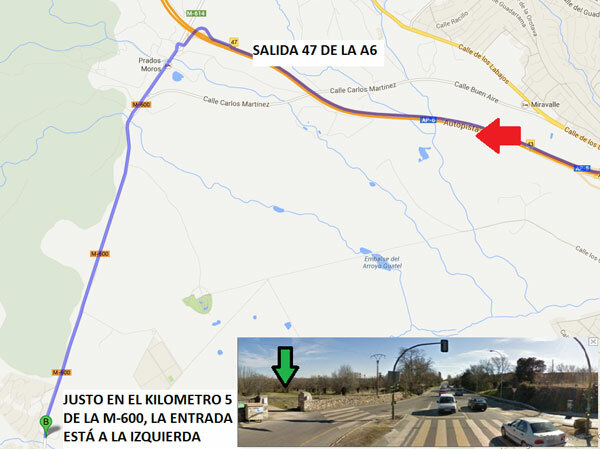 Exactly at kilometre point 5 of the M-600, on the left hand side, is the entrance to the best Paintball fields in Madrid. The 664 bus that leaves from Moncloa drops you off exactly at the door of the Paintball, and takes 35 minutes. All you have to do is tell the driver to drop you off at the Urbanization La Pizarra stop. Call us, send us an email or a WhatsApp and we’ll send you the schedules – it couldn’t be easier!